how to trim your own horse's hooves. This short 2.5 day class is scheduled in the month October of every year, following the September class. The class is usually held on the first Mon, Tues, and Wed of October, following the September 3 week class. Students are given the option of coming for 3 full days (vs. 2.5) if they are able to. Call or email us now for current farrier class pricing, exact dates & to reserve your spot now! not fit into your schedule. 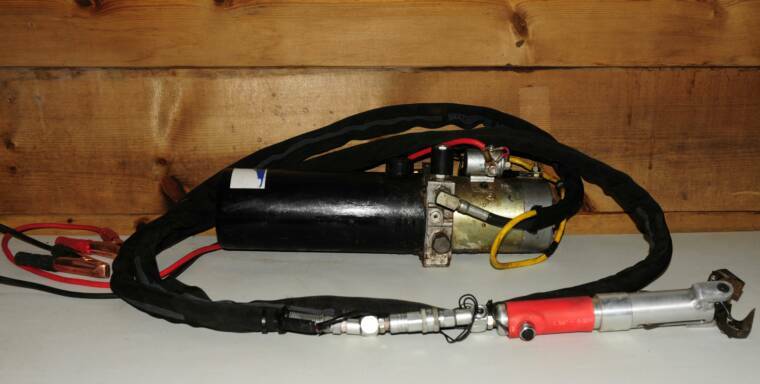 The "E-Z Hoof Nipper" is a one-handed hydraulic powered hoof nipper for trimming hooved animals. 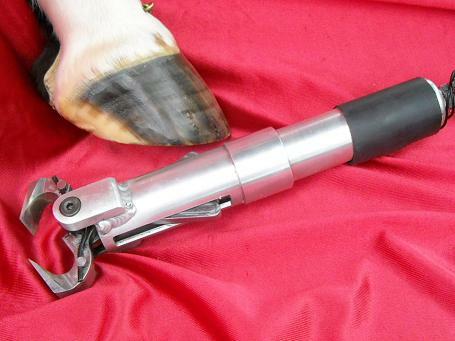 Whether you are a horse owner trimming your own, or a farrier making a living, this incredible tool does the work for you. Offers one-handed operation so there is no need to get under the horse if you don't want to. It's no harder than lifting the foot like when cleaning the hoof. Reach over with the nipper and push the button to trim. A nice job done in a fraction of the usual time! Faster trimming means less stress for the horse and less work and frustration for you. Trim feet in seconds; you're done so fast the horse doesn't have time to fuss, and you don't get a sore back. For the farrier, this tool will increase your income by allowing more appointments in a day with less strain on your body. 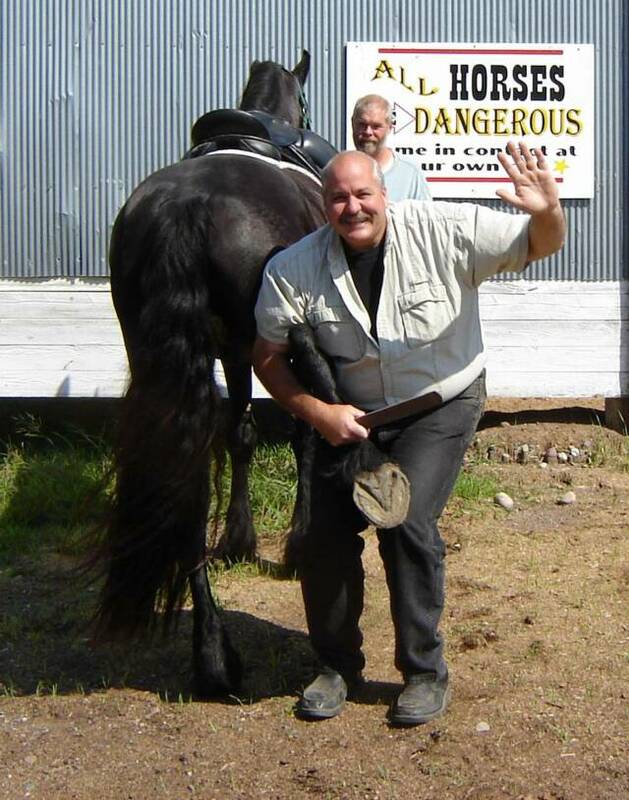 Individualized horse training available. 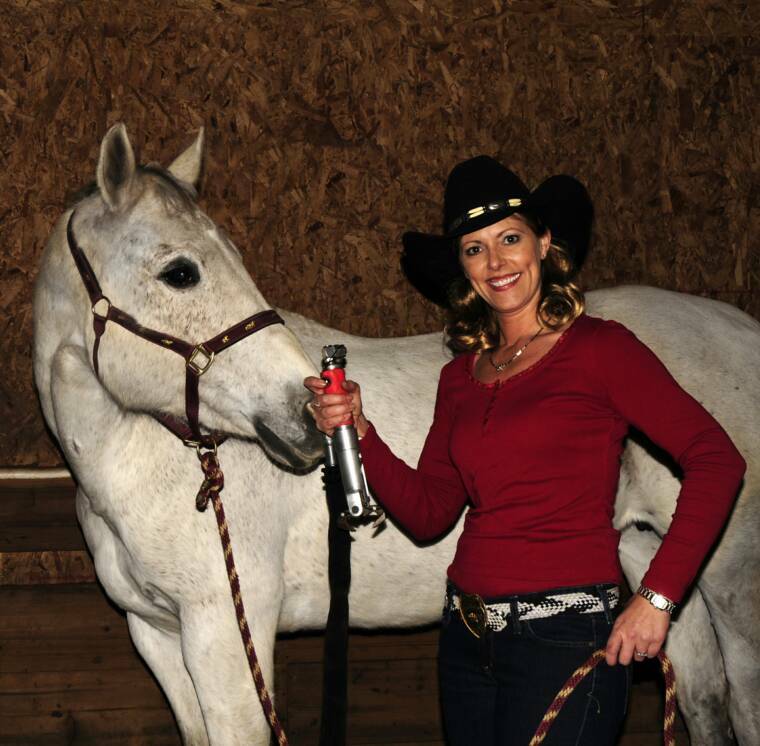 Bring your horse to the Surrett Ranch for custom training. Call or email Larry today to discuss your horse's month to month plan & pricing.